THE WHITE DEATH: A History of Tuberculosis by Thomas Dormandy admits that tracking the story of the disease is challenging since it comes in so many forms (way more than I realized) and so has been misdiagnosed as various other plagues (and conversely been identified when the illness was probably something else) or covered up to spare families the shameful taint of what was once seen as a hereditary weakness. Equally frustrating, nobody at the time of writing (1999) has a good explanation for questions such as why a stay in country air actually does seem to have helped some people while others do no better (apparently a mix of luck and individual strength is behind it). Dormandy focuses primarily at the efforts to diagnose “phthisis” and to treat it, various tactics being bleeding and radical surgery (though knowing from Emperor of Maladies what breast cancer treatments were like in the early 20th century, I think it would help to put the tubercular surgeries in context), sanitarium stays, trips overseas and eventually drugs, though antibiotic resistance may be bringing that era to an end. Informative but scattershot—information about the bacillus itself is doled out off and on throughout the book, rather than giving us the basics in one section, for instance. 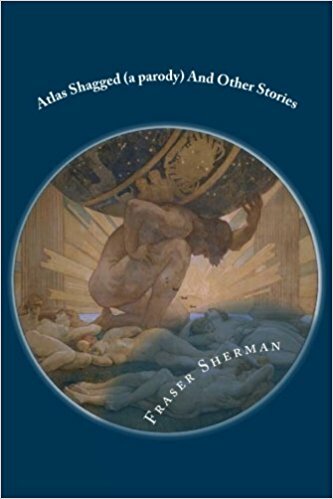 Continuing to work through Dorothy Sayers’ Peter Wimsey novels, STRONG POISON was a game-changer in which Peter takes a sudden interest in the case of an accused poisoner, Harriet Vane and sets out to prove her innocent, not to mention offering to marry her (she informs him that’s her 47th proposal since the accusation). The mystery is good (and doesn’t feel trite even though it’s the third Wimsey mystery in a row to hinge on a suspicious will), but this has several slow spots (though some good ones, such as Sayers’ deft sketch of the jury members) and the chemistry between Peter and Harriet is uneven (but picks up as it goes along). I did, however, like Peter’s comment that if he fails and she hangs, happiness will no longer be something he can take for granted—happy times will be more like valuable equipment and food salvaged off a sinking ship, a triumph in the face of adversity. And I am curious what readers of the time made of Harriet’s past—she’d been living with the murder victim in sin—even given the emphasis she’d preferred to hold out for marriage. The pursuit figures in several more books in the series. 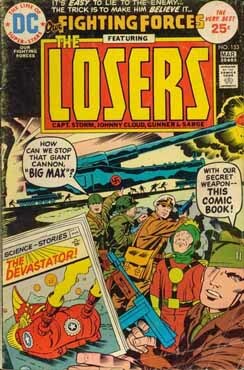 JACK KIRBY’S THE LOSERS collects Kirby’s 12-issue run on this DC WW II-set series in which several characters formerly with their own series (Johnny Cloud, Capt. Storm, Gunner and Sarge) became part of a special joint-forces strike team. As shown here this doesn’t make a lot of sense (even when they’re working for the Navy, Capt. Storm is on dry land) and isn’t much more memorable than Kirby’s other 1970s work. However there are moments things really come to life, such as the SS gunning down Jews in one of the stories, that make it much better than, say, OMAC. Possibly the fact Kirby had to stick with realistic weapons and abilities rather than pulling a super-scientific deus ex machina did the trick. I was disappointed to learn that while it wraps up the series, JACK STAFF: Rocky Realities doesn’t wrap up any arcs, in fact complicating them (at the end of the story, Jack’s now on the run from Detective Mavryk). Entertaining, as a vampire hunter turns vampire, the Claw finds himself in increasingly difficult situations and a chimp called Rocky Realities tries to sit things right (“Well, his ID is in order.”). Still, I’m glad Image’s new Weird World of Jack Staff has picked up the plot threads.